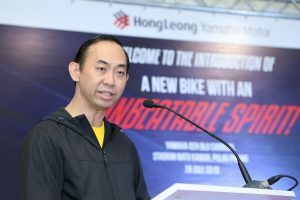 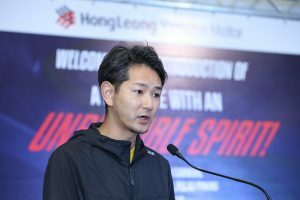 Penang, Saturday 28thJuly 2018 – Hong Leong Yamaha Motor (‘HLYM’) took the world by storm when it first launched the iconic Yamaha YZF R Series creating a cult following amongst its fans. 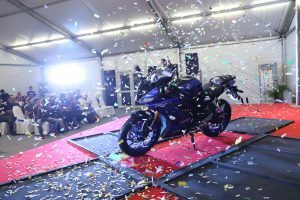 In line with the strong heritage and continued brand love, HLYM today unveiled the upgraded version of Yamaha YZF R15 (‘YZF R15’) Series, as a prelude to the Karnival Gen Blu Yamaha, held at Batu Kawan Stadium. 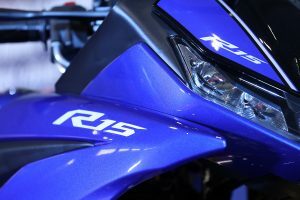 This upgraded YZF R15 displays the supreme “Unbeatable Spirit” wrapped in a brand new dynamic package that will heighten riders’ senses, delivering an unbeatable riding experience. Assist and slipper clutch for lighter level pull and stress-free gear shifts. 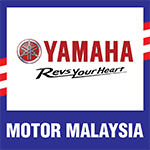 Comes with a 6mm locking pin – the pin is hammer, drill and saw resistant! 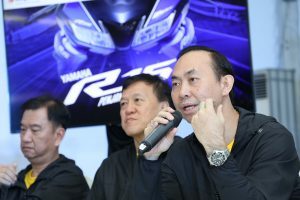 Priced at RM11,988 subject to approval, the newly enhanced Yamaha YZF R15 is for enthusiast Malaysians who are looking to be part of this exciting and iconic riding experience. Do not miss out the heat and feel the exhilaration!